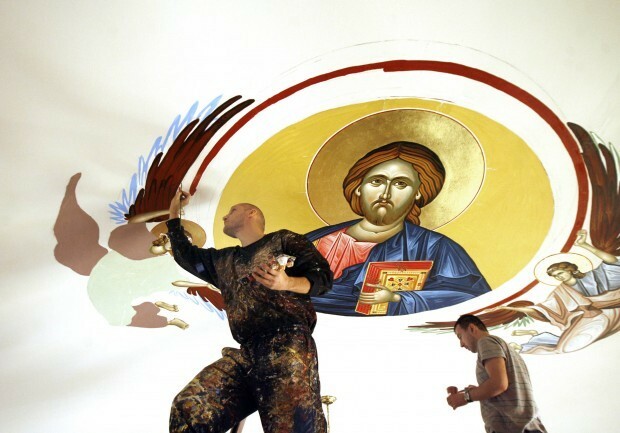 East Chicago - Under the artists' bold brush strokes, the iconic face of Jesus Christ in the Byzantine style emerged from the church's ceiling. 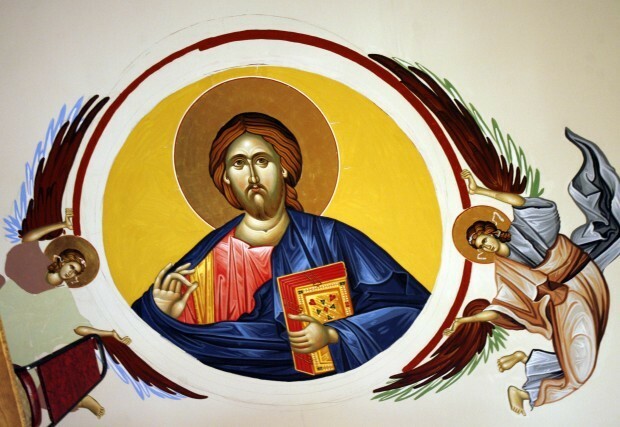 This same fresco style that adorns the domes of Eastern Orthodox Christian churches around the world is now part of the 100th anniversary celebration of St. George Serbian Church, 4021 Elm St.
To honor the church's centennial, the congregation commissioned European-trained Chicago artist Filip Subotic to complete the fresco. 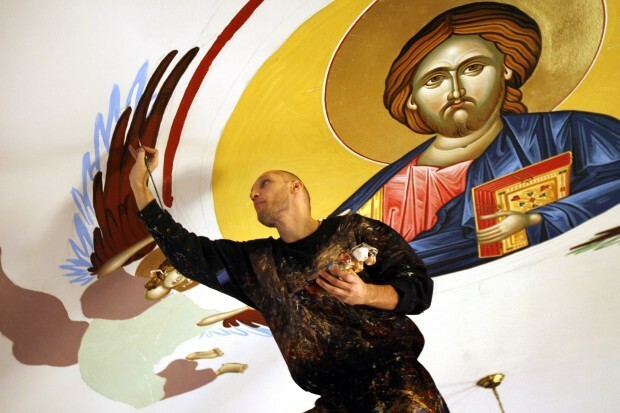 Usually Serbian Orthodox churches have domes, and the face of Christ is painted there, said the Rev. Alexander Savic, the church's spiritual leader. "The dome represents heaven, and Jesus is connected to his people," Savic said. St. George Serbian Church was built in 1911 in just six months by the first wave of Serbian immigrants who came to East Chicago to work in the steel mills. Its flat ceiling rises two stories above the worship space. Subotic and his assistant, Sinisa Radunovic, worked on scaffolding to paint the fresco during a 10-day period. 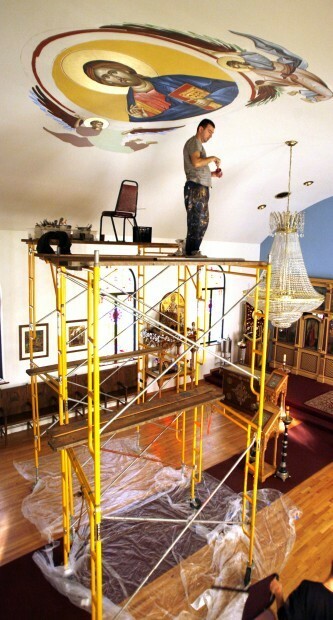 The scaffolding was taken down between periods of work so the church could be used for worship services. First charcoal was used to draw the figure of Christ, two angels and concentric circles. The artists then used acrylic paint to create the painting in the Byzantine fresco style that dates back to the sixth century.